determine the amount to be carried out in Aktiv - Med. 1. 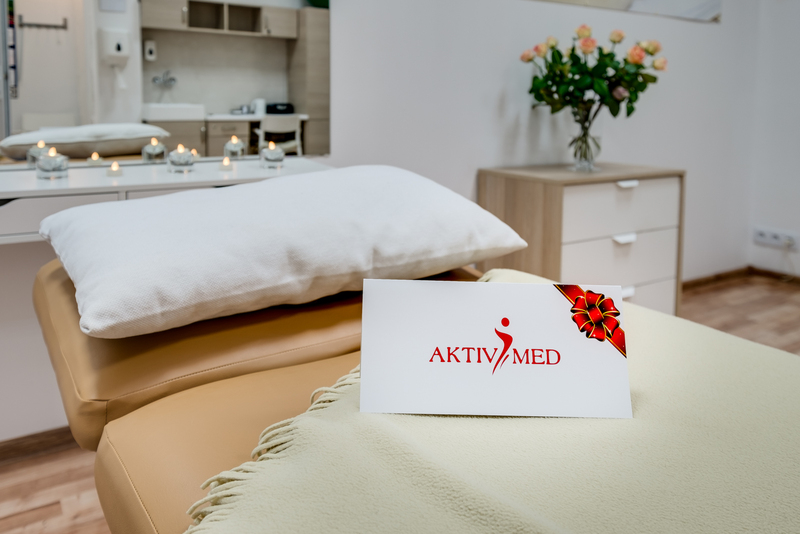 The voucher authorizes the recipient to take advantage of the treatments offered in the Aktiv -Med physiotherapy room according to the purpose of the given voucher. 2. The voucher is valid for 6 months from the date of its purchase. 3. The voucher's holder is obliged to book an earlier (3 weeks) reservation. 4. You must show a voucher before using the treatments.